Bainbridge Island’s Point White Pier, shrouded in October fog. October 2018. Bridges at dusk. Portland, Oregon. April 2018. A woman folds fresh fortune cookies into shape around the tiny slips of paper at the famed Golden Gate Fortune Cookie Company in San Francisco, Sept. 2017. A poster outside of a Hard Rock Cafe in Singapore, marked with the memorial messages of fans. A man sells charms at tables in an outdoor cafe in Kuala Lumpour, Malaysia. October 2010. 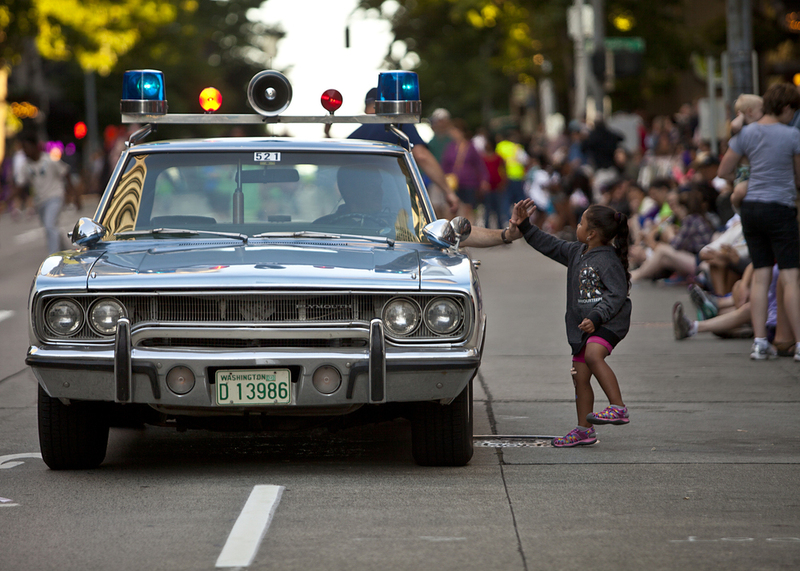 One little girl offers a Seattle Police Officer a high-five during the 2014 Torchlight Parade. Hundreds of students from Bainbridge and Eagle Harbor high schools conduct a "die-in," as part of a symbolic walk out Wednesday, March 14, 2018, part of a protest by students around the nation calling for improved campus safety in the wake of regular mass shootings. 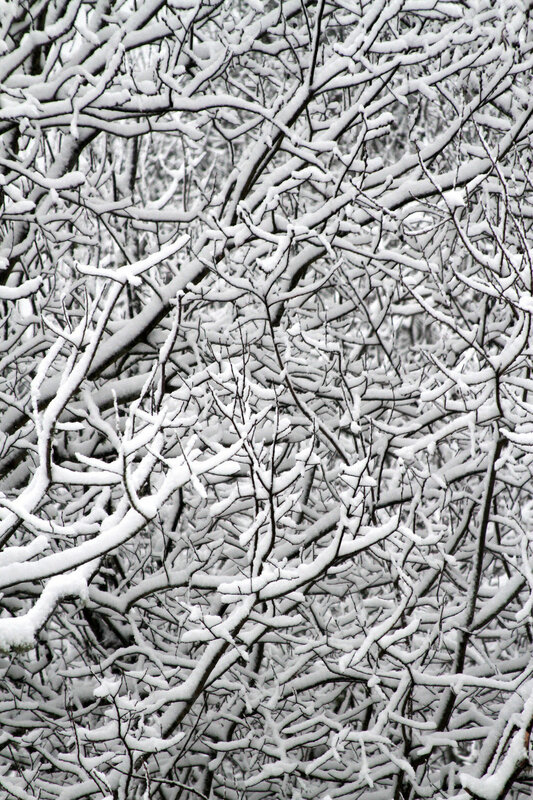 Trees covered in snow. Bainbridge Island, Washington. February 2017. The winter sunset comes early to Western Washington in December, as marked by the large sundial at Battle Point Park. A volunteer at the 2016 Bainbridge Island Rotary auction and rummage sale - six acres of bikes, housewares, books, games, clothes, art, boats and more - walks past a line of doors while organizing the event's layout. A paddling of ducks, and one lone human traveler, venture out into the late morning fog at the downtown Winslow pier on Bainbridge Island. Shoichi Sugiyama, a volunteer with the Bainbridge Island Japanese American Community and staple figure at the island’s annual New Year’s mochi tsuki event, watches as the guests he instructed take their turn pounding the steamed rice with large wooden mallets. Frankie Rohan, 2, gives the Easter Bunny a big hug at the annual Easter egg hunt at Strawberry Hill Park Saturday. Brandon Sheard, of Farmstead Meatsmith, leads a whole hog butchery and curing workshops at Heyday Farm. A couple and their dog take advantage of the additional walking space at Fay Bainbridge Park. Recent extremely low tides had a visible affect on the size of the beach. A street vendor in Kuala Lumpur. Carly Hart, 8, reacts with surprise after opening her eyes to find out she's just been kissed by "Lumpy," an American Alligator during a reptile show at the 2014 Kid's Discovery Museum Birthday Bash. Firefighter Kyle Moerke does some fancy cooking tricks at the 17th annual Bainbridge Island Volunteer Firefighters Association pancake breakfast. One young trick-or-treater, dressed as the Incredible Hulk, takes a quick break to pose during the 2013 downtown Winslow Trick Or Treat event on Bainbridge Island. A rider completes his introductory lap prior to a trick riding show at the 2013 Puyallup Spring Fair. One young climber begins her ascent on one of the many climbing walls at Island Rock Gym shortly after the athletic facility's grand opening in late September 2013. Allen Turnbull, a Bainbridge Island firefighter with two years of beekeeping experience, uncaps a frame of honey comb from one of his hives with a heated knife. Cub scouts cheer at an annual pine wood derby racing event on Bainbridge Island. Children enjoy a ride at the 2014 Washington State Fair. The decorative display at the base of a bonsai tree exhibit, as presented by the Evergreen Bonsai Club during a show at the Kitsap Mall in Silverdale, Washington. Extreme fog slows the passage of the Washington State ferry during an afternoon sailing from Seattle to Bainbridge Island. Two Seattle Police Officers patrol an alley near the established route for the 2014 Torchlight Parade. Vendors prepare BBQ and ribs at the 2014 Washington State Fair. A crowd lines the streets of downtown Winslow just prior to the start of the 2014 Grand Old Fourth of July parade on Bainbridge Island.